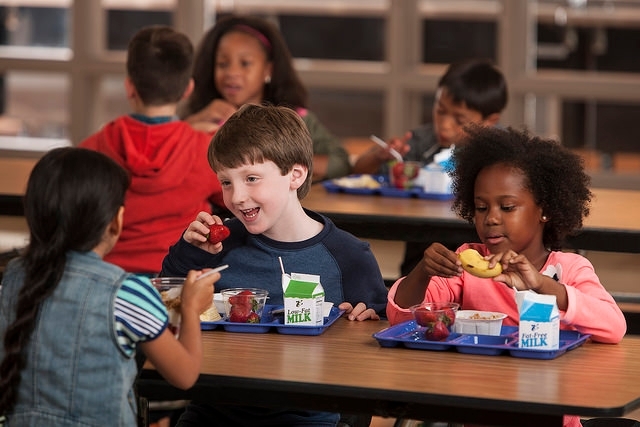 Lunches served in the National School Lunch Program have higher nutritional quality than lunches brought from home, according to the largest comparison study conducted to date. Published in the November 2016 issue of the Journal of the Academy of Nutrition and Dietetics, the study, conducted by researchers at UC's Nutrition Policy Institute, involved nearly 4,000 elementary school students in Southern California. School lunch consumption was associated with higher overall diet quality. School lunch eaters also consumed diets that were higher in dairy-rich foods, lower in empty calories from solid fats and added sugars, and lower in refined grains than students who ate lunches from home. Established in 1946, the National School Lunch Program is a federal nutrition assistance program that provides nutritionally balanced, low-cost or free lunches in over 100,000 K-12 schools throughout the United States. School lunches are required to meet certain nutrition standards based on the latest Dietary Guidelines for Americans. New requirements increase the availability of fruits, vegetables and whole grains and reduce sodium and fat in school lunches. Guidelines on calorie limits are set to ensure age-appropriate sized meals for grades K-5, 6-8 and 9-12. During the 2014-15 school year, the program served lunches to about 30.5 million children each school day. More than 21.5 million of these students qualified for free or reduced-price service. Given the program's broad reach and its targeting of low-income children, the nutritional improvements shown in this study are of considerable benefit to needy students for whom school lunch may represent roughly one-third of their daily calories. Since the study was conducted, new and more rigorous nutritional standards have been implemented, thus increasing the likelihood that school lunches are contributing to healthy overall diets – and reversing the extremely worrisome obesity epidemic. Currently as many as one-third of U.S. youth are obese or overweight. Guided by the findings of an in-depth University of California survey, UC President Janet Napolitano has approved $3.3 million in new funding over the next two years to help students regularly access nutritious food on campus and off, UC announced today (July 11). The funding, which includes $151,000 for each of UC's 10 campuses, is in addition to the $75,000 per campus that Napolitano allocated in 2015 to address the immediate challenges of ensuring that students have ready access to nutritious food, and reflects the UC Global Food Initiative goal of promoting a nutritious, sustainable food supply. To better gauge the food security of its students, UC administered an online survey in spring 2015 to a randomly selected sample of students from all UC campuses. Of the 66,000 students asked to participate, nearly 9,000 completed the survey – a 14 percent response rate. Undergraduate and graduate students were invited to participate in one of two ways: through the National College Health Assessment II survey administered by the American College Health Association, or through an independent campus survey administered by the UC Office of the President‘s Institutional Research and Academic Planning Division. In both formats, the survey utilized a six-item U.S. Department of Agriculture food security module. The survey responses were evaluated by the UC Nutrition Policy Institute, part of UC Agriculture and Natural Resources. 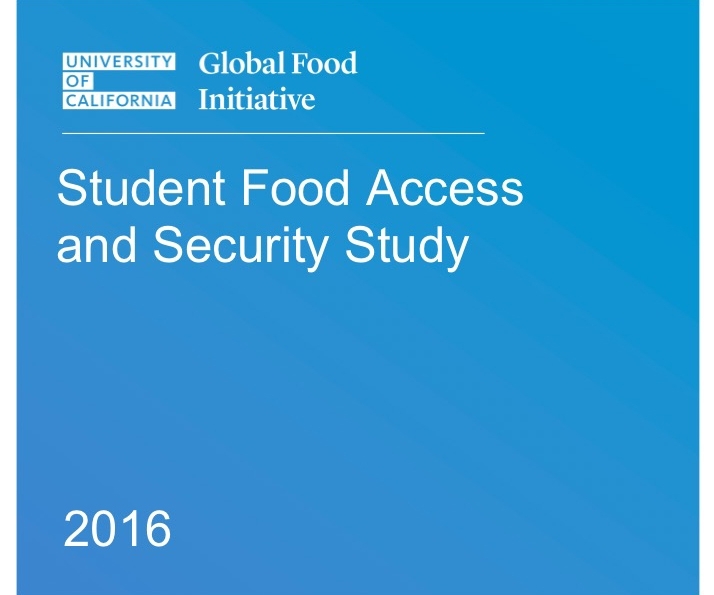 These measures build on UC's efforts to address the issues of student food access. In 2014, Napolitano and UC's 10 chancellors launched the UC Global Food Initiative and in 2015 asked each campus to form a food security working group that included undergraduate and graduate students, faculty, staff, administration, and community experts. These working groups formalized ongoing campus efforts on all nine undergraduate campuses to establish food pantries for emergency relief and to develop plans to expand the Swipe Out Hunger programs. UC also convened the California Higher Education Food Summit at UC Santa Barbara in 2015 and UC Irvine in 2016 to discuss strategies for improving food security. Swipe Out Hunger programs allow university students to donate excess dollars on their meal plan to reduce hunger on campuses. UC researchers found that half of WIC kids had eaten green vegetables the previous day, in contrast to only one in five non-WIC children. In the U.S., where one of five children entering elementary school is overweight, a healthy diet is critical for preschool children, who are setting their eating patterns for the future. In 2009, more fruits, vegetables, whole grains and low-fat milk were included in the food package provided by USDA's Special Supplemental Nutrition Program for Women, Infants and Children (WIC). As a result, the quality of diets improved for the roughly 4 million children who are served by WIC, according to a study by researchers at UCSF Benioff Children's Hospital in Oakland, UC San Francisco and UC Agriculture and Natural Resources' Nutrition Policy Institute. For the UC study, which will be published in the May issue of Pediatrics journal, researchers analyzed the diets of 1,197 children, ages 2 to 4 years, from low-income households before and after the 2009 change in the food package. The researchers used the National Health and Nutrition Examination Survey (NHANES) to compare a nationally representative sample from 2003 to 2008 with diets in 2011 to 2012. 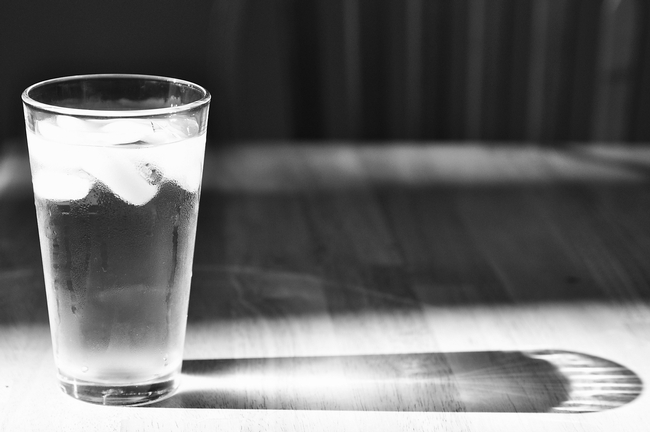 The researchers calculated the Healthy Eating Index (HEI-2010), which is a score with 100 possible points measuring adherence to dietary guidelines, from two 24-hour diet recalls. For children in households using WIC, this score increased from 52.4 to 58.3 after the policy change. After adjusting for characteristics in the sample and trends in the comparison group, the researchers showed that there was an increase of 3.7 points that was attributable to the WIC package change. This represents important evidence of an improvement in the diets for these children in WIC households. “Vegetables are part of a healthful diet, but in general, children don't eat enough of them,” Tester said. Using the Healthy Eating Index, the researchers calculated the Greens and Beans score, which counts dark green vegetables and includes any legumes, such as beans and peas, that were not already counted as protein foods on a different score. After the food package was changed, the Greens and Beans score increased for children in WIC but not for their counterparts. Roughly half of the children in WIC households had eaten some vegetables, whereas only one in five non-WIC children had consumed any green vegetables at all in the two days their parents were surveyed. The change in the WIC food package is an important policy change in the effort to improve the quality of diets of young children, said Tester, a pediatrician. Tester noted that the results of this study will be useful to the Institute of Medicine committee that is reviewing and assessing the nutritional status and food needs of the WIC-eligible population and the impact of the 2009 revision to WIC food packages. The committee will make recommendations for changing the food packages. “Increasing consumption of nutritious foods such as green leafy vegetables and whole grains in the low-income children served by WIC will help them establish healthier eating patterns for their future,” said co-author Patricia Crawford, UC Cooperative Extension nutrition specialist with UC ANR's Nutrition Policy Institute. The switch from whole milk to low-fat milk was​ ​well received by the clientele and did not result in decreased milk consumption among the preschoolers, noted Tester, Crawford and co-author Cindy Leung, postdoctoral scholar at UCSF Center for Health and Community. This study is the first to report on the significant improvements in diet quality in young children associated with the WIC package change using a nationally representative sample, and the first to do so with the updated Healthy Eating Index (HEI-2010). The National Institutes for Health funded this study. Para leer la versión en español de este artículo, visite http://ucanr.edu/sites/Spanish/Noticias/?uid=6735&ds=199. Students who use the SmartMeal app to pre-order nutritious meals will be able to pick up food at an express location. Researchers at the UC Division of Agriculture and Natural Resources' Nutrition Policy Institute and UC Berkeley School of Public Health will use a nearly $2 million childhood obesity prevention grant from the U.S. Department of Agriculture to evaluate a two-year school meal technology and design innovation project developed by the San Francisco Unified School District (SFUSD). The project will measure the impact of 21st century student-centered strategies based on behavioral economics to increase student participation in the school lunch program, reduce plate waste, improve dietary intake and reduce obesity among low-income youth. 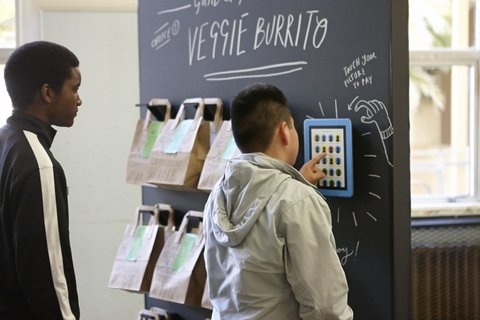 The “Technology and Design Innovation to Support 21st Century School Nutrition” project will assess the impact of using a “SmartMeal” technology platform, distributed points of sale and staff promotion of school meals at 12 SFUSD middle and high schools. Sixty percent of the district's students are eligible for free and reduced-price meals, as part of the National School Lunch Program, the country's largest child nutrition program. The researchers say that improving dietary intake among low-income youth is essential to reducing obesity, and schools are arguably the most important venue for change. Mobile food carts will help students avoid long cafeteria lines. The project will use cutting-edge strategies reflecting scientific knowledge about behavior change among teens to increase school meal participation and reduce plate waste. For example, research has shown that convenience is a primary determinant of student behavior, and long meal lines and hectic cafeterias are a barrier to student participation. The project seeks to circumvent these hassles by giving students access to healthy foods in mobile food carts and vending machines outside the cafeteria. It also will feature a SmartMeal e-application that delivers nutrition education and school meal promotion to students on their smart phones and tablet computers provided by the district. Students who use the app to pre-order nutritious meals will be able to bypass long lines by going to an express food pick-up location. “This project will test whether we can change behavior by addressing the reality of today's adolescent lifestyles,” said Kristine Madsen, MD, associate professor in the School of Public Health and co-primary investigator. The Nutrition Policy Institute was created in 2014 by UC Agriculture and Natural Resources, the division of the University of California charged with sharing research-based information with the public about healthy communities, nutrition, agricultural production and environmental stewardship. 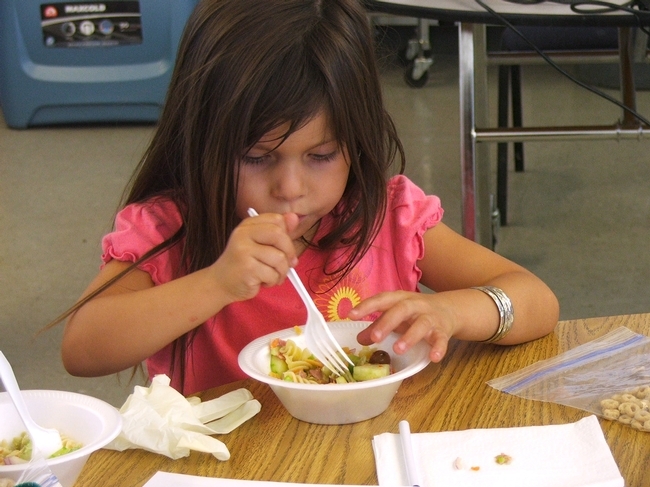 NPI seeks to improve nutrition and health in low-income communities in California and the nation by engaging in research and communications that inform, build and strengthen policy. Visit NPI online at http://npi.ucanr.edu. SFUSD's Future Dining Experience (http://www.sfusdfuturedining.org/) is funded by USDA and the Sara & Evan Williams Foundation.